The aaRNA server requires sequences to be input in FASTA format. 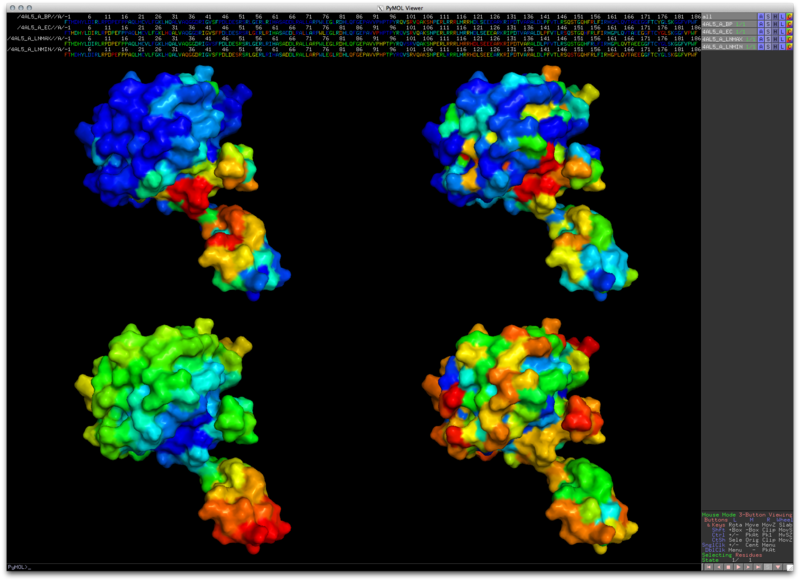 Structures can be input as PDB identifiers or as user-provided structures in PDB format. When only sequence information is provided, a homology model will be built in advance of prediction. When a structure includes multiple chains that function together as a complex, the complex can be treated as a single entity or split into individual chains and the features will be computed accordingly. The output includes binary (binding/non-binding) and di-nucleotide propensities as a list of scores (between 0 and 1) indexed by the residue number of the target protein. A plot is also displayed showing the binary and di-nucleotide binding propensities (as shown in Figure 1). To facilitate analysis, surface maps of evolutionary conservation, Laplacian norms under local and global scales, and binary binding propensities are displayed side-by-side in Jmol Applets on the result page. A high-quality surface map can be locally reproduced with Pymol by users (as shown in Figure 2) after downloading a tar-compressed file for this purpose. The tar-compressed file also includes binding propensity files. Users can refer to a Readme.txt file enclosed for detailed explanations. Depending on the query protein, the time used for prediction can vary significantly. Once a job is finished, users will be notified by email with a link containing the result page. Figure 1. A plot example of binary and di-nucleotide propensities of a target protein. Figure 2. 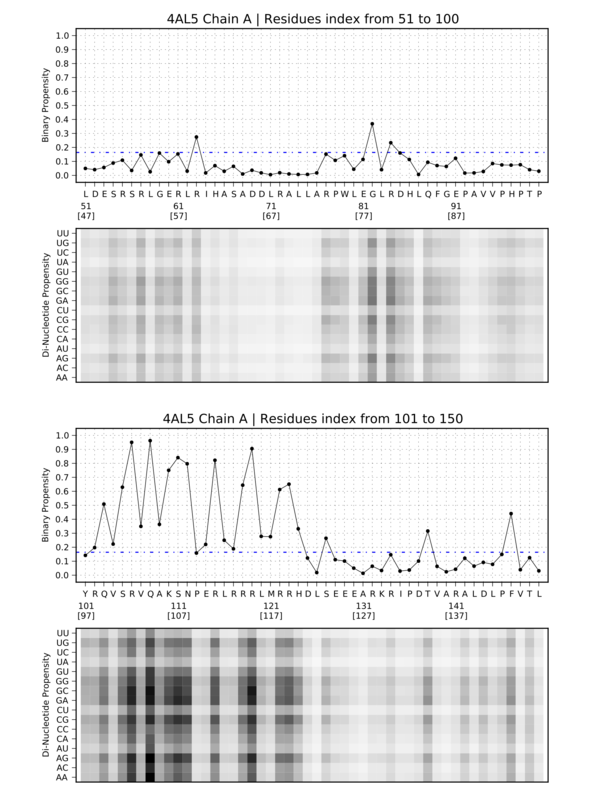 Surface rendering of evolutionary conservation (EC), Laplacian norms under local (LNMIN) and global (LNMAX) scales, and binary binding propensities (BP) of a target protein in Pymol.